Whoa, the xmas holiday is fast approaching and I’m sure some folks are scrambling, trying to find stocking stuffers for their crazy running pals. The first item in our list today is fun, weird and almost guaranteed to make your runner friends squee with delight. Socks. Yes, socks. Now of course, a lot of us remember those times as kids when grandma would buy us a few pairs of scratchy wool socks, and we’d have to smile and say we loved them when all we wanted was a Pound Puppy or the new GI Joe Easy Bake Oven & Tank. Well, now that we’ve grown up and turned into runners, socks are actually an awesome gift. Not the scratchy wool ones (though SmartWool is sweet). The socks I’m thinking of look kinda funny. They have toes. Their name looks like your cat just ran across your keyboard. 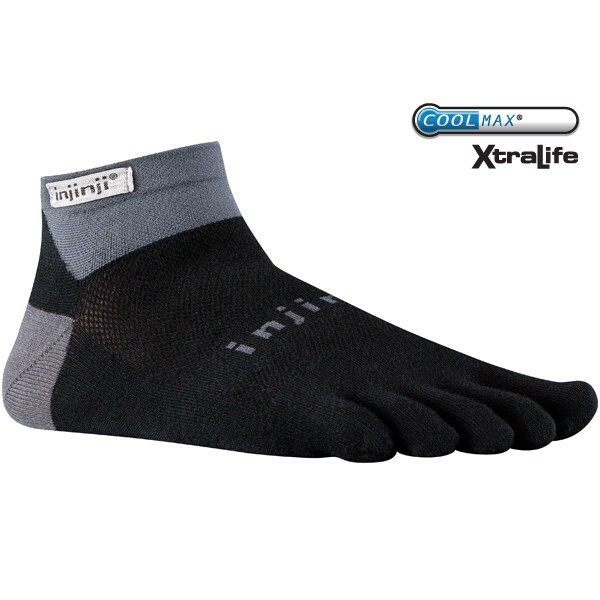 I’m talking of course about Injinji socks. Why are these awesome? Well, for one, they’re well built. Socks are fairly easy to make badly and somewhat tough to make well while still being comfortable. This level of difficulty goes way up when you create little pockets for each toe. Why are toe pockets rad? Well, for one thing, having each toe surrounded by soft cloth keep inter-toe friction (swear that’s a real thing) to a minimum. It also absorbs moisture in those areas, again reducing blistering and increasing comfort. I wore a rather blown up pair of Injinji socks in my marathon last Sunday (they’re going on 4 years old now I think) and got a grand total of 2 blisters. One was on my big toe, on the outside where it rubbed oddly on my shoe. The other was atop my third toe, same foot. Very odd place. Tellingly though, I got no blisters between my toes, or down where they curl (a spot I often get blisters). A lot of people think you have to wear these sock with “toe-shoes” (as non-runners call the Vibram Five-Fingers). Couldn’t be further from the truth, I wear Injinjis with all sorts of shoes, including sandals. They’re awesome-sauce. OK here’s the tough one. Shoes are often like a religion. People are Brooks runners, or Nike or whatever. Suggesting that perhaps a different shoe might be cool to try could possibly result in a fist fight, or at least a mud wrestling match. But there’s a few shoe companies out there that are so out of the norm, so “holy crap what is that” that you could probably survive getting your runner pal a pair. And they’ll be stoked, because these companies make great kicks. 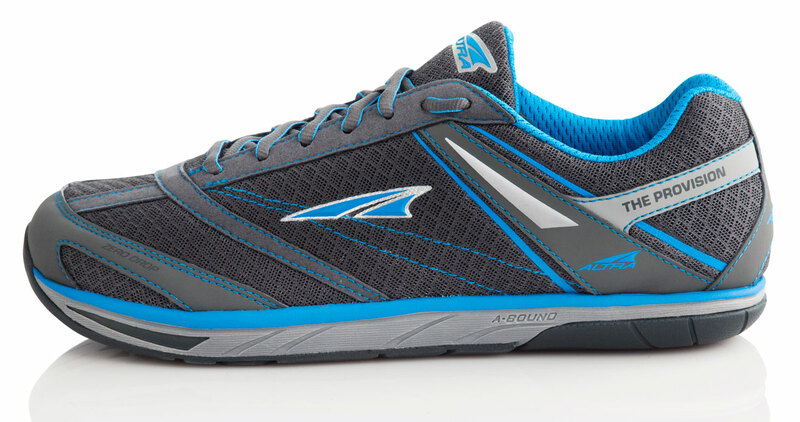 Altra makes shoes with “zero drop”, meaning that the distance from your heel to the ground, and from your toes to the ground is identical. However, they also add cushioning. This is somewhat unusual, as most zero drop shoes are little more than rubber socks. They also make their shoes “foot shaped”, with lots of room for your toes to splay out. It is weird at first but super comfortable. Their shoes are fantastic for everything from workouts, to speed work to just plain going the distance (though it is recommended you transition when going far, your feet are used to having heels under them). My favorites include the Provision (I take all the soles out for a very minimalist feel for workouts and speed work) and the Torin (a medium cushioned zero drop shoe great for everyday running and races). Go up about 1/2 a size from their normal runners. HOKA ONE ONE is a seriously weirdly named company (the name is pronounced HOH KAH OH KNEE OH KNEE) with some very unusual shoes. People call them moon boots, marshmellow shoes, fluffy runners, all kinds of things. Basically the concept was to add a maximum amount of fluff underfoot without too much support or weight. These aren’t “motion control” or “support” shoes. 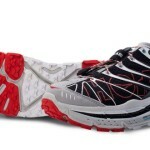 In fact, they have far more in common with running barefoot on sand or soft grass than they do with most running shoes. What are these good for? Trails, for one. They soak up rocks and roots like they weren’t there. They also make for great recovery runs, or for running longer distances. I ran my 26.2 mile race in a pair of the Stinson Tarmacs. I don’t normally heel strike, but when an achilles issue at mile 22 forced me to change my gait, the HOKAs allowed me to do so without much fanfare or issues. The thing to keep in mind is that these shoes CAN let you cheat, but reward good form. In fact, running with a midfoot strike activates their curved profile and helps to gently propel you forward (which is good, as the cushioning does absorb a lot of energy). These shoes can help people run who don’t think they can run due to joint issues, and they can help extend mileage for people training. I doubt I could have put in so many miles so quickly while catching up on my training for the marathon, and I doubt I could have finished had I been wearing a lesser shoe. That’s on me, my training was flawed, but the bottom line is that I got over the finish line. That’s a hell of a benefit for a shoe to grant, and HOKA wearers have hundreds of similar stories. 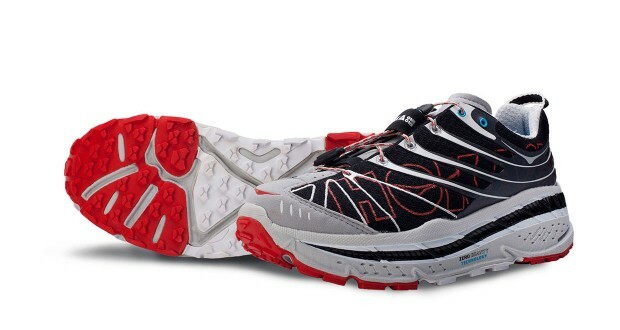 HOKAs run right around true to size, to just a touch smaller. I go 1/2 a size up. OK with this final kick we’re going way off the map, down to the Copper Canyons of Mexico. Fans of Chris McDougall’s “Born to Run” already know which shoes I’m talking about. For those unaware who haven’t read the book (OMFG GO GET IT NOW!) a barefoot runner with the nickname “Barefoot Ted” went down with Chris and a bunch of other fairly unbelievably talented human beings to Mexico for a little 50 mile race run by a white horse. 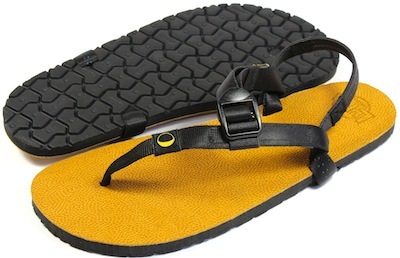 Ted met a native Raramuri Indian there and got the idea to create running sandals that mimicked what the native population there ran in, and the result was Luna Sandals. Luna Sandals aren’t your normal, everyday sandal. First of all, they’re hand made in Seattle, WA. Second, they’re born to run. The straps, materials, design and philosophy of these shoes accurately mimic the footwear used by the Rarámuri for hundreds (if not thousands) of years. By the way, Rarámuri means “the running people”, and they really mean it. As Scott Jurek found, they are some of the best runners in the world and they run in sandals. 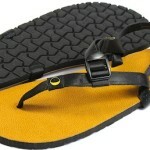 All this has culminated in what is basically one of the best built and designed sandals on the planet. They’re tough. Comfortable. They come in different thicknesses to accommodate usage profiles (I suggest the Mono, which is a jack of all trades). Your pal might not become a sandal runner, but even just walking in these will help strengthen feet and they might just do some runs in them too. Hell, who knows, they might become the next Barefoot _______. 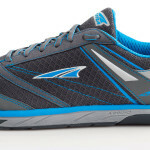 This entry was posted in Gear Review and tagged Altra, born to run, Chris McDougall, CIM, HOKA ONE ONE, Injinji, running, Scott Jurek, shoe, Ultra Marathon by TheFatPanther. Bookmark the permalink.